Do Any Notarial Acts Require A Person To Sign Twice? The answer depends on the notarial act being performed. If the principal signer signed a document and requires acknowledgment wording, the signer does not have to sign in front of you. The signer can, for example, sign at home in the presence of witnesses, then bring the document to you to have the signature notarized. The client should acknowledge that he signed it of his own free will. A jurat must be signed in front of the Notary. If a jurat is required, the signer would have to sign the document again in your presence, near their original signature. If you bother to answer a question, it should be for every state, noting the differences, if any. It is lazy on your part not to do this, and misleads notaries into thinking they know the rules when they don't. Hello. Please see the Editor's note above. We are happy to answer questions regarding other states in the comments section if the Notary provides us with the state they are commissioned in. Our Hotline team is also available to assist Notaries at the phone number and email listed above if they have questions regarding other states. Can a TN notary sign papers for MS or AR, the surrounding states? Hello. TN Notaries can notarize signatures on documents prepared in other states provided the signer appears in person before you in Tennessee and all other requirements of TN law are met. However, it is the signer's responsibility to confirm whether an out-of-state notarization is acceptable to the agency that will receive the document. If I write in my name on a document in the wrong place can I draw a line through my name and write in the correct name in California? Hello. California permits Notaries to correct a notarial certificate during the notarization process. However, if an error is discovered in the certificate wording after the notarial act is completed, the signature will have to be re-notarized with a new notarial act. Is the key to this the witnesses ? What if there are no witnesses . I've always refused, but can I notarize a document if the signer swears they signed it, but with no witnesses? I am speaking of acknowledgements only. Hello. Just to clarify, acknowledgments do not require the signer to take an oath or affirmation. A signer does not require additional witnesses when requesting his or her signature to be acknowledged, but must personally appear before the Notary and provide proof of identity that meets state law requirements. Witnesses are not mandatory for notarization, but may be requested by a signer, attorney or document preparer for other reasons. Hello. I'm sorry, but without more details I'm afraid we don't have enough information to answer your question. 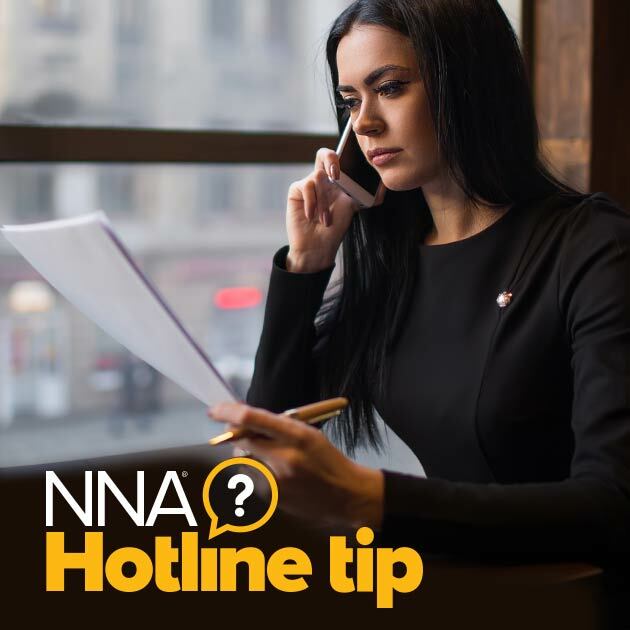 If you're an NNA member you can contact one of our Hotline team for assistance at 1-888-876-0827 or hotline@nationalnotary.org. State: CA If one document is signed twice by the same signer does this require 2 separate notarizations? Hello. Yes, if a signer asked for both signatures to be notarized, each signature would require a separate notarization.